The role of a sports brand ambassador is very important. People’s perception of a specific sports brand may change every time a new face is put on the advertisement. The selection criteria of a spokesperson or ambassador for a particular sports brand in Malaysia rely heavily on the performance and the personality of the chosen athlete. Malaysian sports fans generally like to see more than just a pretty face on billboards. Other than the athlete’s performance, they also look into the athlete’s general attitude towards the public as well as his personal background. That is why choosing an athlete to represent your brand effectively may take more than just plucking the best of the bunch. Nothing defines the value of your sports brand better than its ambassador. A brand ambassador generally creates public perceptions of your brand and the personality of your company. This theory can also be applied if you are planning to market your brand via sports sponsorship in Malaysia. The selection of the right representative to portray the spirit and attitude of your brand is imperative to ensure that you reach your target consumers. You may choose the best athlete to represent your brand but without the right context and public appeal, you may not be able to persuade your consumers to believe in your brand. Many people know that an athlete may be the best player on the field but when it comes to public preference, the best athlete may not always be the best brand ambassador. Generally, Malaysians are drawn towards somebody they can always relate to. There is a reason rags-to-riches participants almost always win reality TV shows in the country. The aura of a regular Joe making it big in the sports arena can almost always beat a pure-bred privileged athlete in terms of popularity. Therefore, a sports brand ambassador that reflects the general population of Malaysia may be your best bet in reaching out to your consumers. This is just part of the general idea of sports marketing. Putting the familiar face of an athlete on your sports brand advertisements may not work if your consumers do not trust the ambassador of your choice. In other countries, athletes with unscrupulous behavior or diva-like attitude may still be adored by fans as long as he keeps performing his best as an athlete. That may not be the case in Malaysia. Malaysians, in general, value humility. An athlete who brags about his skills may not be able to influence Malaysian consumers as much as a humble one. This is one of the reasons why Malaysia’s very own squash darling, Dato’ Nicol David is a favorite among Malaysian sports fans. She is one of the best squash players in the world and yet she remains humble in the presence of others. The performance of your designated athlete also plays a big role in determining his influence on Malaysian fans. 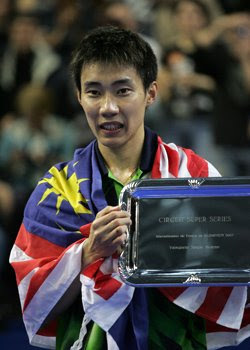 Just because Malaysians generally dislike ill-mannered athletes does not mean they are willing to compromise quality. An athlete with the best attitude who has never won any game or match may not serve his purpose as your sports brand ambassador as effectively as an athlete who is consistent in his performance. For example, Malaysia’s favorite badminton player, Dato’ Lee Chong Wei may not have won every single tournament but he consistently and persistently plays his best every single time and the public adores him for that very reason. One-hit-wonder athletes also may not be your best bet in representing your sports brand as consistence is something that the public generally wants. All in all, Malaysian sports fans like balance. They expect an athlete to not only perform well but also have good attitude and image. They may be more willing to trust an athlete who is basically ‘clean’ than one with bad reputation either in sports or personal life. When it comes to choosing an athlete to represent your brand in Malaysia, you may have to find someone who is able to strike a balance between the two. Know who your consumers aspire to be and your choice of ambassador may serve his purpose well.